AIX Hamburg, Germany | April 2, 2019–This year we will be exhibiting with a new booth at the Aircraft Interiors Expo in Hamburg and are hoping to inspire you once more with our exceptional and innovative aircraft interior solutions. To stay ahead of current market trends, our recent efforts have been focused on the next generation galley. Digital communication between on-board personnel, more efficient and cost-effective processes as well as transparency during daily work on-board are some of the many advantages Bucher is currently designing. Among other things, food waste can be reduced by providing accurate meal consumption figures through data analysis. This in turn leads to cost savings for the airline. In order to promote the on-board sales of duty-free articles, we are presenting a completely new exhibition opportunity for on-board assortments in the form of a galley shopping window. In addition to the duty-free brochure, this platform will enhance the purchasing process and in turn increase the sales of exhibited products. Furthermore, our inventory management system will reliably record the entrances and exits of all sales items using a sophisticated EPS system. At the push of a button, sales and inventory reports can be evaluated in real time. As a pioneer in lightweight construction, Bucher is also breaking new ground. Bucher has developed an ultra-light bionic partition, which supports the cabin crew in their tasks and provides extra protection in an emergency situation. The multifunctional partition is the first of four types to pass through the rigorous qualification and certification program and in the future will be installed by Airbus in the rear of A320 aircraft. This year we were able to hand over the 1’000th airline stretcher to one of our satisfied customers. To celebrate this milestone, our specialists will be conducting live demonstrations of stretcher assembly and disassembly: the stretcher can be installed in 8 – 10 minutes without the need for tools. The height can be adjusted to fit neatly and safely in a wide range of aircraft seating and pitch dimensions. In its most common configuration, the installation of the stretcher requires the blocking of only three rows of seats. At one of most interactive AIX exhibits, Bucher visitors will be able to appreciate our expertise in designing and building high-end cabin and seat mechanisms such as Tray Table Deployment Systems or Tablet Holder Solutions. The half-size ARCTICart, a thermally insulated ATLAS inflight service cart able to maintain food safely chilled for more than 20 hours without dry-ice or air chillers, will be presented to the public for the first time. These are just a few of the many new products which we have in store for you. We listen to your wishes and challenges and respond with answers. Drop in and see for yourself all of these exciting innovations and new products at our booth. The entire team at the Bucher Group looks forward to welcoming you to AIX 2019! Raunheim, Germany | April 1, 2019– Lufthansa Systems employs IT and aviation experts who are passionate about their products and customers – real insiders. This is what the new image campaign of the airline IT specialist conveys: “We’re into IT”. The new slogan is also an invitation to customers and partners to take a closer look. Wherever digitalization and aviation come together, Lufthansa Systems and its solutions are also involved. This basic idea, which Lufthansa Systems published at the end of January at the same time as a new design, is also reflected in the new booth concept for trade shows. This stand will be used for the first time at the Aircraft Interiors Expo (AIX) in Hamburg. The key visual shows people who literally merge with the matter in the background. In an extraordinary way, digital, analogue and living components are combined at the stand of the airline IT specialist. “Our concept is consciously very futuristic and modern. At first glance, it should convey the fact that we at Lufthansa Systems are flexible in all directions and can adapt to the requirements of the respective project. We are open to cooperation with partners and want to revolutionize the airline world together with them and our many customers,” says Ansgar Lübbehusen, Head of Marketing & Communications at Lufthansa Systems. Likewise, a new range of advertising materials, which are always in high demand, was developed. Lufthansa Systems attached particular importance to sustainability in the newly selected articles. “The debate about plastic waste and sustainability does not stop at IT and marketing either. We are proud to be able to make a contribution to greater sustainability with our environmentally friendly gift articles,” adds Lübbehusen. Plastic ducks and articles that do not create any real added value are now a thing of the past. In contrast, Lufthansa Systems invites customers and partners to its stand for a cup of coffee in a portable and recyclable mug. Not only during AIX a useful utensil. 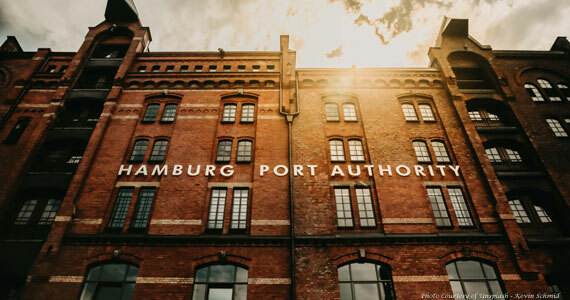 Hamburg, Germany | February 26, 2019– The Crystal Cabin Award is one of the most coveted seals of quality in the global aviation industry. The finalists have now been decided for each of the eight categories. Competition was never tougher for the 24 places in the finals. The international expert jury viewed and evaluated some 94 shortlisted entries. Airlines, manufacturers, suppliers and universities from all around the world have made it to the last round. Just who will be taking one of the precious trophies home will be decided in Hamburg on 2 April at a celebrity gala dinner for the industry during the leading global trade show, Aircraft Interiors Expo. Three well-known heavyweights of the aviation industry are going head-to-head in the “Cabin Concepts” category. Aircraft manufacturer Airbus has come up with a new use for the space underneath the passenger cabin with its Lower Deck Pax Experience Modules. Today, the space is used for, amongst other things, cargo containers. In the future, though, it could contain lounge areas or quiet zones for Economy class passengers to make ultra-long haul routes more pleasant. Travel with First Class, on the other hand, and you can already experience such luxuries on the newer aircraft in the Emirates fleet. The Boeing 777 First Class Fully Enclosed Suites have the atmosphere of a private jet. There are also numerous high-tech components such as video calls from the passenger to the crew and virtual windows for suites located in the centre of the plane. This means that every seat has a guaranteed window view. Rather than opulence, Safran Essential Business Class is focused on efficiency and sustainability. Doing away entirely with heavy mechanical components, the concept relies instead on innovative cushion structures. The result: 25 percent less weight and almost 20 percent more space for the passenger. One of the central questions shaping the “Cabin Systems” category is how to most efficiently use the space within an aircraft. Collins Aerospace provides a great example with its Flex Duet self-service counter for snacks and drinks. During cruise flight, it can just be opened up like a closet door, folding in front of the aircraft door to give a purpose to otherwise unused space. The X-Tend Seat from Airbus increases efficiency in individual seating rows by partially folding down the seat cushion when the passenger stands up. This provides the passenger with more freedom of movement within the row, whilst the airline can compress the seating pitch in emergency exit rows. Diehl Aviation, meanwhile, offers greater seat pitch independence with its Flexible Passenger Service Unit system. The modules, containing for example air vents and reading lamps, are not fixed in place above the seats; instead, they can be repositioned for optimal passenger convenience. And if perfectly positioned air vents aren’t enough to keep everything smelling of roses, one finalist’s concept for the “Greener Cabin, Health, Safety and Environment” category may have the solution: the nanoe air filtration system by Panasonic extracts pungent smells from the cabin, for example after meals, improving the air quality. Sadly, the concept is currently only available for Business Class. For some years already, the Skycouch from Air New Zealand has led the way in creating a genuine luxury upgrade for Economy Class passengers, converting an entire row of seats to a bed on demand. And now, this practical concept is available in a family edition, with new belts and safety guards ensuring that even babies and infants can be safely put to bed here. The jury showed its appreciation of this enhancement with a place in the finals. Diehl Aviation provides the third candidate in this category, too, with an innovation equally advantageous for old and young. The UV-LED Water Disinfection Unit is a retrofit antibacterial filter for the toilet area. For the first time, tap water is reliably drinkable on board. A different type of passenger wellbeing, meanwhile, is at the heart of the “In-flight Entertainment and Connectivity” category. One entry here has won over not just the jury but also the Emirates airline. The virtual windows from Collins Aerospace are already in use in the airline’s concept that has made the finals in another category. Global Eagle has a product that benefits not just First Class passengers: the Low-Earth Orbit Satellite, LEO. Floating in space at a relatively low altitude, it provides extra-fast broadband internet for airborne clients, even in regions currently subject to poor connectivity, such as polar regions. United Airlines, on the other hand, is here with connectivity between the passenger and the in-flight entertainment system. “Entertainment for All” provides passengers with diverse, semantically valid settings to personalise the multimedia experience on board. Another Collins Aerospace concept is in the spotlight — in the truest sense of the word — in this year’s “Material & Components” category. The μLED Reading Light replaces existing cabin reading lamps with ingenious LED technology. With precisely targeted light cones, a single lamp can illuminate several seats. The Lumina concept from KYDEX is all about pleasant lighting, too. The US company has developed a thermal plastic that can conduct light and provides mood lighting via plastic panels in the cabin. If privacy is what you need for a sense of wellbeing, the Flexible Door from supplier Safran may be your thing. The thinly coated element is integrated in the side wall of the Business Class seating berth and can be drawn across between the seat and the aisle, almost like a blind, when needed. For passengers, it means more privacy; for airlines, the ultralight weight makes it attractive. The “Passenger Comfort Hardware” category is home to physically larger amenities. This includes the Active Noise Control technology for Business Class seats from Panasonic. Noise- cancelling headphones will be a thing of the past with this seat, which filters the cabin and engine background noise by itself at the press of a button. Calming music or bird noises can be added if required, accompanied by the appropriate lighting. It brings sleeping in the skies close to cloud nine. And in Economy Class? Here, too, attention has been paid to long-haul sleeping comfort. Seat manufacturer RECARO has enhanced its long-haul route seat with a number of comfort elements that make it a little more like an armchair at home. This includes a flexibly adjustable head and neck support as well as movable back and leg upholstery. French design studio Style & Design has taken an even more radical approach to long-haul seating. The Moments concept significantly extends the seating space in Business Class, offering a range of sofa-like positions for sitting, lying and tuning, without costing the airline in terms of precious space. Radical new travel ideas are traditionally the domain of the “University” category for the Crystal Cabin Award, with students from all over the world bringing their competing plans for the future to the arena. Sahngseok Lee from Hongik University in Korea, for example, has designed the 1 For All concept in collaboration with seating manufacturer Adient. It interweaves the various seat classes to achieve the maximum possible use of space. Premium and Economy passengers may find themselves next to one another or even above or below one another — alone or within compartments. Clément Heinen of Delft University of Technology in the Netherlands has undertaken a redesign of Business Class, in collaboration with Safran. The innovative “Stratus” seat can not only be ergonomically tilted, it can also be turned into a standing desk for completing office work. Joseph Lane from the University of Cincinnati, meanwhile, has developed an innovative approach to on-board catering. With the SkyDining app, passengers will not just have the choice of “chicken or pasta”; instead, they can order a meal from a restaurant at the departure airport in advance, using their smartphones. The meal is delivered to the airport at the gate and served hot during the flight — in an environmentally friendly cardboard box, of course. Creative ideas from outside the academy find their place at the Crystal Cabin Award, too, in the “Visionary Concepts” category. Flexibility is the order of the day here again this year, as seen in the Ultraflex Zone from AIM Altitude that has made it to the final round. Passengers of all classes can use the snack bar, relax in lounge chairs, work on a presentation at a laptop workstation or do something for their physical comfort in the yoga zone. The Peacock Suite from Paperclip Design in Hong Kong offers more space for airlines to vary their First Class products, with flexible partitions and seating arrangements allowing for individual products to be put together on a flight-by-flight basis as required, ranging from family compartments to three-room luxury suites. Boeing, meanwhile, has approached visionary cabin redesign from a different perspective. The Smart Cabin transforms the aircraft interior into an “Internet of Things” for crew members. Similar to a Smart Home infrastructure, it allows for all components to be digitally managed and controlled with voice commands, from lighting to seating and even lavatories. The Crystal Cabin Award, an initiative of the cluster Hamburg Aviation, is presented in eight categories: “Cabin Concepts”, “Cabin Systems”, “IFEC”, “Greener Cabin, Health, Safety and Environment”, “Material & Components”, “Passenger Comfort Hardware”, “University”, and “Visionary Concepts”. To win one of the coveted snow-white 3D printed trophies, the 24 finalists now have to present their ideas in person to the 27 members of the international expert jury. Winners will be announced at a prestigious Gala Dinner taking place in the trading floor hall of the Hamburg Chamber of Commerce on 2 April, as always as part of the Aircraft Interiors Expo (2 – 4 April in Hamburg). Guests of honour will include Hamburg’s Governing Mayor, Dr Peter Tschentscher, along with the Federal German Government’s Coordinator of Aerospace Policy, Thomas Jarzombek. All winners will then present their concepts once again at the Hamburg show in the Cabin Space LIVE Auditorium, near the official Crystal Cabin Award Gallery on the first floor in Hall B4, at 2:30 p.m. on Wednesday, 3 April. Information on all finalists will be available there throughout the entire Expo. This year, for the first time, trade fair visitors can also take part in a popular vote. The following sponsors and media partners support the Crystal Cabin Award: Airbus, Aircraft Cabin Management, Aircraft Interiors Expo (Reed Exhibitions), Aircraft Interiors International Magazine, AIME 2020 – Aircraft Interiors Middle East, Ameco Beijing, APEX, The Boeing Company, Bluebox Aviation Systems LTD., Boltaron Inc. – A SIMONA Company, BURRANA, Collins Aerospace, DIEHL Aviation, Emirates, FERCHAU AVIATION Division, FIT AG – Additive Manufacturing Group, Flightchic, Flightglobal, Future Travel Experience, HAECO Cabin Solutions, Inflight Magazine, Jetliner Cabins, jetlite, Lufthansa T echnik AG, NORDAM, Panasonic, RECARO, Runway Girl Network, SEKISUI SPI, tesa SE and Vartan Aviation Group. Since APEX/AIX are within the next 30 days, we thought it was a good time to feature some of the IFEC products you will see there! Let’s get started. 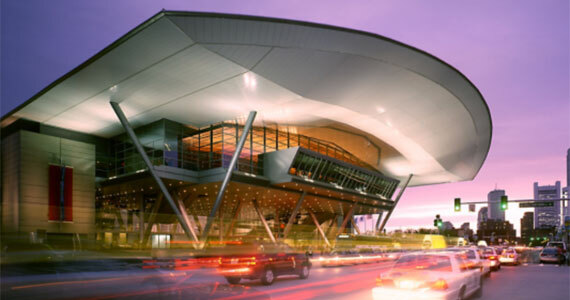 Inflight Entertainment and Connectivity (IFEC) specialists IFPL will be showcasing their latest power solutions at APEX 2018 in Boston, USA, with a full range of innovative products on display at the show. IFPL will demonstrate how airlines can easily anticipate the power connectivity requirements of their passengers with a clever combination of a Reversible USB-A and USB-C. This combination offers 10W and 15W with a Power Delivery option that can provide up to 60W from the USB-C outlet. IFPL has sensibly split the 28V to USB-Power Delivery converter from the outlet. Working with key industry partners, IFPL has delivered the innovative 2020 USB-A outlet which allows seamless integration into the seat. This system delivers an ergonomic and aesthetic advantage over traditional outlets. The modular design ensures easy on-wing replacement should the connector become damaged and allows for an easy upgrade path to USB-C. The result is an elegant installation of a fully integrated system that enhances the passenger experience whilst removing weight and complexity. At APEX IFPL will show the latest design concept for a seatback PED (Portable Electronic Device) holder that provides USB and inductive charging. 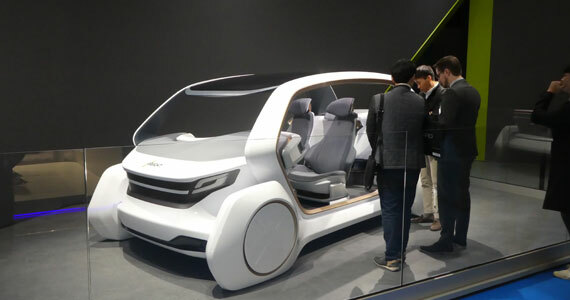 This bolsters the recent announcement of an inductive charge unit that delivers wireless charging at the seat, also designed to be seamlessly integrated. IFPL will demonstrate how to turn USB power into ancillary revenue with its Patent Pending ‘Charge To Charge’ solution. This innovative solution allows airlines to be able to charge a passenger to turn on their USB power outlet and/or launch adverts or promotions when the passengers plug in their device, providing multiple ancillary revenue streams. This process is managed using only the airlines App and IFPL’s USB outlet providing an easy upgrade to current or planned installations by replacing the existing outlet for an IFPL Charge to Charge unit. Another IFPL innovation is an integrated audio and Bluetooth jack. This is an upgrade to existing IFE systems to allow passengers to easily connect their own headphones, thereby further enhancing the customer experience. The audio jack is a critical component of any IFE system and IFPL believes that delivering high quality sound, with high unit reliability and minimizing the impact of Customer Induced Damage (CID) is vital in maintaining customer satisfaction. For over 20 years IFPL has delivered a range of Long Life, Rapid Fit, INCAM and Breakaway MagSignal products and solutions. An expert team will be on hand to discuss your requirements on booth #707 at APEX 2018. Xiamen Airlines, which is experiencing major growth across its domestic and international network, is using sophisticated software from SITA to set its fares competitively in all markets. The airline, which handled 32.7 million passengers in 2017, is highly profitable. It has achieved profits 31 years in a row and is now using SITA Airfare Insight to optimize its fares-related decision making. More than 180 million fares are published worldwide at any one time, and typically full-service airlines will update fares throughout their distribution network of GDSs, travel agencies and websites, several times a day. By using SITA’s Airfare Insight Xiamen Airlines can stay ahead of the competition. It can set its fares based on a clear view of what its competitors are doing in markets across the world. Airfare Insight automatically identifies the relevant fare changes in the marketplace. It then immediately ensures appropriate prices are in place to support the airline’s overall commercial strategy. Chen Rong, Committee Secretary, Passenger Marketing & Sales, Xiamen Airlines, said: “Filing fares at the right price and at the right time can have a significant impact on profit margins. SITA’s technology enables our commercial team at Xiamen Airlines to have the right fares distributed to the right customers. It also gives us the capability to analyze all our fares and manage them across multiple locations and time zones, which is vital as we expand our route network.” Today, Xiamen Airlines serves nearly 400 domestic and international routes covering China, Southeast and Northeast Asia, Europe, North America and Oceania. With 1,074 destinations in 177 countries making sure the right fares are published in the right markets is challenging. SITA Airfare Insight automatically identifies the relevant fare changes in the marketplace. It then immediately ensures appropriate prices are in place to support the airline’s overall revenue management and sales strategy.May Zhou, SITA Vice President & General Manager, East Asia, said: “Xiamen Airlines is one of China’s great successes with decades of profitability. Industry studies indicate that correct pricing can contribute 3-10% to overall revenues and SITA’s technology allows the airline to distribute all fares to customers at the ideal price point with head-office knowledge and approval. Airfare Insight also simplifies the end-to-end fares management process while putting competitive fares in key markets. A winning formula for this growing airline.” By achieving profits for 31 years in a row Xiamen Airlines has been an airline that has remained profitable for the longest period in China’s civil aviation industry. It enjoys the highest international financial rating among the Chinese airlines. In an important next step for its innovation development program, Rossiya Airlines has implemented SITAONAIR’s CrewTab to advance its cabin crew operations. Rossiya Airlines has worked closely with SITA and SITAONAIR – the SITA Group’s subsidiary and air travel industry’s connected aircraft service expert – to deliver its tailored CrewTab solution. Designed to optimize cabin crew work processes and activity, the device has been fully integrated with Rossiya Airlines’ information systems, enabling 450 Rossiya Airlines crew members to access all necessary flight information inflight via their iPad 4th Gen® tablet devices. Currently, airlines typically provide such information in paper formats. By contrast, a key benefit of CrewTab is its ability to digitize workflows, streamline reporting, eliminate operational duplication and provide a complete flight information picture, quickly and efficiently. Rossiya’s CrewTab solution is available on regular and seasonal flights, as well as flights-to-order. By enabling remote Internet access to airline information resources and systems, SITAONAIR CrewTab helps Rossiya to improve performance at key points in the onboard service experience. It does this by helping to streamline the interaction between the airline’s internal organizational units, supporting a more efficient document flow system, enhancing staff processes and reducing costs. Cabin crews spend more time talking to passengers than anyone else in an airline, and are, therefore, central to the passenger experience. Deploying a tactile, responsive and information-rich technology, such as CrewTab, presents Rossiya with immediate benefits and advances to both the quality and efficiency of its cabin experience. Today, SkyLights announces the launch of Skykids, its Immersive VR entertainment created especially to entertain children aged 6 to 12 on long-haul flights. The service, which lets children watch curated 2D, 3D and forward-facing 360° films in their own wearable cinema, was deployed fleet-wide on July 1st with SkyLights’ long-standing client XL Airways. Having seen significant success since day one, SkyLights will continue the service beyond its initial holiday season scheduling. According to a study commissioned by Emirates in 2017, children under 12 get bored 50 minutes into long-haul flights. With entertaining children identified as parents’ biggest concern when flying, and unruly kids voted the second most annoying type of passenger in Expedia’s 2017 passenger study, Skylights saw an opportunity to upgrade the customer experience of all passengers onboard. As a result, Skykids was developed, combining a fun and engaging VR headset design with a premium catalog curated especially for kids in partnership with 20th Century Fox. Going forward, SkyLights will offer airlines the new service alongside its flagship Allosky business class amenity solution. With this addition, the company aims to consolidate its position as the leading provider of VR entertainment for airlines. SkyLights is an American-French company that leverages Cinematic VR as premium passenger entertainment. It has a signature immersive-IFE solution that transports passengers to their own, private, in-flight movie theater where they can enjoy 3D, 2D and VR content on a wide-angle cinema screen. On average, passengers use the device for 4 hours with a 90% recommendation rate. The first ACJ320neo[i] has been assembled on programme, fitted with CFM International LEAP-1A engines and painted in ACJ house-colours, in preparation for a first flight in the coming weeks. After delivery to Acropolis Aviation of the UK in the last quarter of this year, the aircraft will enter outfitting at AMAC in Basle, Switzerland, where an Alberto Pinto-designed cabin will be installed, and be repainted in the customer’s colors. Like the airliner versions from which it is derived, the ACJ320neo Family features new-generation engines and Sharklets, saving around 15 per cent in fuel and delivering a leap forward in inter-continental range. The resulting ACJ320neo can fly 25 passengers 6,000 nm/11,100 km or 13 hours – enabling routes such as London to Beijing or Cape Town and Moscow to Los Angeles – while the ACJ319neo can fly eight passengers 6,700 nm/12,500 km or 15 hours. Featuring the widest and tallest cabins of any large business-jet, the ACJ320neo Family delivers similar operating costs and better residual value, while being about the same size. Orders for the ACJ320neo Family stand at nine aircraft, comprising three ACJ319neo and six ACJ320neo aircraft. Looks like Englands’ Chief Economist A. Haldane has a worrisome outlook on AI. He calls it the Fourth Industrial Revolution and notes that manual jobs will be at risk and leave those workers “technically unemployed’! Bank of England’s Haldane: A.I. could threaten ‘large’ amount of jobs. We wonder if airline mechanics jobs are on his list? From CB Insights: “ Passengers may no longer bring snakes onto Southwest planes, per the airline’s updated animal policy released earlier this week. Under the new rules, passengers may bring a single dog, cat, or (in rare cases) miniature horse as a psychiatric support animal.” A HORSE!!! The Crystal Cabin Award is expanding with the new “Best Customer Journey Experience” category. Submissions can be made online until the end of July. Hamburg | July 9, 2018– With a special category for integrated digital innovations in the field of air travel, the Crystal Cabin Award, the world’s leading prize for aircraft interiors and on-board products, is extending its scope. The new category is aimed both at passenger-focused products such as smartphone apps relating to air travel, and at digital applications that improve product management for airlines. Entries can be lodged online at https://connect.apex.aero/page/apexawards until the end of July. “Best Customer Journey Experience” comprises all products that help to improve the customer experience journey (inspiration, planning, booking, purchase, pre-trip, departure, in- flight and post-trip) across airline travel categories. It includes technical end-to-end solutions across categories including applications, artificial intelligence, tools, devices, software, programs etc. The product should offer benefits for airlines, OEMs, and/or suppliers by offering new digital solutions and specific insights about passengers experience for the benefit of on- board technical utilization. The finalists and award winner will provide airlines and their suppliers an inspirational example on how to optimize the cabin for end-to-end travel solutions centered around personalized passenger experience. The Crystal Cabin Award 2018 is supported by the following sponsors and media partners: Airbus, Aircraft Cabin Management, Aircraft Interiors Expo (Reed Exhibitions), Aircraft Interiors International Magazine, AIME 2019 – Aircraft Interiors Middle East, ALTRAN S.A.S. Co. KG, Ameco Beijing, APEX, ATR, Boltaron Inc. – A SIMONA Company, DIEHL Aviation, FERCHAU AVIATION Division, FIT AG – Additive Manufacturing Group, Flightchic, Flightglobal, Future Travel Experience, Global Eagle, HAECO Cabin Solutions, Inflight Magazine, Jetliner Cabins, Lufthansa Technik AG, Panasonic, Rockwell Collins, Runway Girl Network, SEKISUI SPI and Thales. Late last week, Gogo announced some adjustments to their leadership roles within the commercial aviation division, as well as, the business aviation sector. 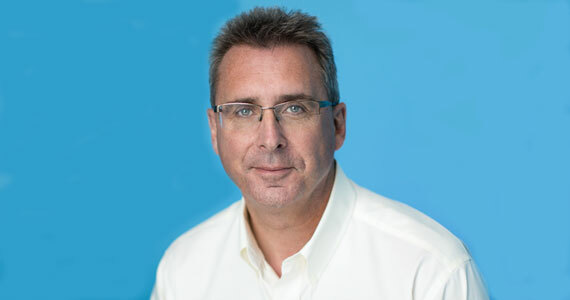 John Wade, who has more than 30 years of aviation and IFEC industry experience, joined Gogo back in 2008 after a stint as CTO of ONAIR, has been named as the first President of Gogo’s Commercial Aviation Division. 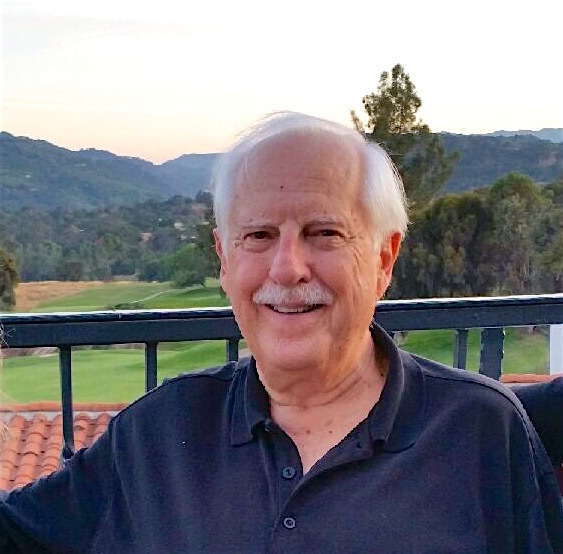 If you remember, in 2016 John was moved from General Manager of the Business Aviation Division to Executive Vice President and Chief Operating Officer of Commercial. He was responsible for Gogo’s operations, quality control, commercial airline account management and commercial sales. In this new role as Gogo President he will have end-to-end responsibility for managing all aspects of the Commercial Aviation business, including product development, technology, sales, account management, quality, marketing and all aspects of product delivery. Also, Sergio Aguirre, formerly senior vice president and general manager, will now serve as President of Gogo’s Business Aviation Division. Aguirre will continue to be responsible for managing the Business Aviation (BA) division and will now report directly to the CEO, Oakleigh Thorne. Aguirre joined Gogo in 2002. Aguirre is also an aviation industry veteran with more than 30 years of experience. Anand Chari, who has served as the Company’s Chief Technology Officer since 2011, will move into a new role as Strategic Technology Advisor. Chari has been with Gogo since 2003 and has been instrumental in the design and development of the company’s ground-breaking ATG (air-to-ground) and 2Ku (satellite) products. Jon Cobin, who joined Gogo in 2010, will now serve as Chief Strategy Office and Executive Vice President Corporate Development. This is a newly created role and Cobin will be responsible for leading company wide business, strategic planning and corporate development efforts as Gogo seeks to leverage the Commercial and Business Aviation product portfolios to drive growth and share value. All of the above appointments are effective as of May 1, 2018. Next, we thought you might like to see just some of the AIX highlights we noted. But be advised, there are plenty more. Virtual Reality in IFE applications is becoming more available and better; however, it is not replacing IFE – some goggle developers, like SkyLights, are really doing a bang-up job. New potential revenue generation via “paying for inflight power” is on the horizon – think low cost carriers here. Improving flight operational efficiency was hight-lighted by Gogo’s Flex Developer. Keep your eye on this one! Inflight content downloading of entertainment is new, and one time viewing on (and off ) the plane is a reality says GEE. One tekkie vendor has developed a code based solution for installations in IFE systems that “reduces” the bandwidth required for streamed movies and the system prevents delays when all are watching movies. The German start-up Cadami is one to watch. Smaller removable streaming Wi-Fi servers now have onboard battery installations so they do not need removal and recharging as often, noted Lufthansa Systems and AirFi. The folks at Zii have developed the next generation of IFE with a seatback system display that has the thickness of a couple stacked coins. It was super cool!! The “cloud” is now available in IFEC from Panasonic and others. Seat power boxes are getting smaller, just ask Astronics. Onboard retail sales support and software is even more available because of real-time connectivity. Here is an outline last two days of the show reported by the AIX TEAM! Day 2 of AIX saw yet more exhibitors choosing the show to announce their latest deals and newest offerings. Ensinger Plastics announced their new flame-retardant materials, TECAMID 6 (PA 6) FRT, TECAMID 66 GF15 FRT and TECANYL (PPE) VH2, which can replace metals to achieve significant weight reduction in aircraft. Recaro announced it will supply its CL4400 business class seats to WOW, the Icelandic budget carrier. A total of 15 aircraft will be completed by year-end. Inmarsat has signed a deal with low-cost Indonesian airline Citilink. The deal has been signed in partnership with Lufthansa Technik, Lufthansa Systems and Indonesian tech company Mahata Aero Teknologi and will see a retrofit of 50 of Citilink’s Airbus A320s with Inmarsat’s GX Aviation in-flight broadband service. Geven announced the Essenza economy-class seat has been ordered by Lufthansa for its Austrian Airlines, Lufthansa and SWISS A320 and A321neo fleet. Deliveries will take place from Q4 of this year until 2022. Panasonic Avionics announced an agreement to provide fuel saving solutions for Air Austral’s narrowbody and widebody aircraft. The first step will implement Safety Line’s OptiClimb solution on all aircraft in the fleet, helping the carrier save fuel with optimized climb profiles for pilots. GKN Fokker has partnered with cosmetics brand Rituals to launch a cabin scenting system which aims to create a more pleasant in-flight experience and influence the mood of passengers. Sekisui Specialty Polymer Innovations has launched the new, back-lit, Lumina version of its KYDEX plastic panels, which are available in any color, printable with infused images for durability and thermoformable to almost any shape. Making IFE accessible for everyone: Over 200 million people worldwide are registered as visually impaired. In the next few years airlines flying to the US will be required to offer an IFE solution for visually and hearing-impaired passengers. FlightGlobal Data, Lufthansa Solutions and Crystal Cabin Award winner Bluebox Aviation discussed what current and future solutions can offer to passengers. End of Life Cabin Equipment: The discussion between Turkish Airlines, Hong Kong Airlines and Professor Dieter Scholz, from Hamburg University of Applied Science, looked at the life-cycle of cabin equipment and its impact on the environment in both operation and disposal. The panel also discussed solutions, such as manufacturers buying back components from the airlines to recycle them, and whether regulation is needed to tackle environmental impact. Predicted maintenance and the connected aircraft: Panellists from Lufthansa Technik, Gogo and Air Transat discussed how OEMs and MROs could use aircraft connectivity to transmit raw aircraft health data in real time, and the question of who should have control over and access to the data increased aircraft connectivity provides. AIX’s Exhibition Director, Polly Magraw, comments: “Day two has been as busy as ever as our visitors explore the 11 halls we have here at AIX and the breath-taking exhibits on display. “We started the day with a First Time Exhibitor speed networking event, where they had the chance to meet some of the attending media. We love hosting this event each year as it gives them a platform to share the truly innovative products and services they have on display at AIX. Acro is to supply its Series 3 ST seat to Viva Air for the airline’s 50 Airbus A320 aircraft on order. Airbus announced the development of a new option for A380 aircraft, ‘A380 Cabin-Flex’. The enhancement, which consists of a new cabin door area arrangement on the upper-deck, is available for line-fit and retrofit, and will be installed on Qantas’ current A380 fleet from mid 2019. Global Eagle Entertainment launched the Airconnect Go video-on-demand system portable IFE system for regional aircraft, which streams content to passengers’ own devices through Global Eagle’s Airtime portal. Gogo announced that Air Canada has extended its agreement to install the provider’s 2Ku in-flight connectivity service on its Bombardier CSeries CS300 fleet, with the system to be line-fit during assembly. Inmarsat signed a deal with low-cost Indonesian airline Citilink. The deal has been signed in partnership with Lufthansa Technik, Lufthansa Systems and Indonesian tech company Mahata Aero Teknologi and will see a retrofit of 50 of Citilink’s Airbus A320s with Inmarsat’s GX Aviation in-flight broadband service. Panasonic Avionics announced the debut of their new airline on-board loyalty platform, called NEXT Loyalty, with Singapore Airlines as launch customer, as well as a partnership with gategroup on their new retail platform NEXT Marketplace, and an IFEC commitment from Turkish Airlines for 50 wide-bodied aircraft. Thales announced the expansion of its inflight entertainment portfolio with CORE and PRESTIGE, offering a full spectrum of solutions and services to maximize passenger satisfaction, loyalty and airline revenue. AIX also showcased the winners of this year’s Crystal Cabin Awards with the award-winning technologies changing the future of the cabin. Amongst the winners were the Qatar Airways QSuite picked up with Cabin Concepts award, Rockwell Collins ‘Silhouette MOVE’ won the Cabin Systems category and Bluebox Aviation’s Accessible IFE for passengers with visual impairment cleaned up in the IFEC category. With the latest innovations in connectivity, in-flight entertainment and passenger comfort hardware on display, alongside an educational program looking at the areas of focus for the industry, many trends were highlighted at the Expo. Inflight Entertainment – Passengers increasingly want to replicate the mutli-screen environment they enjoy today on the ground, in the air. Using a mixture of seatback screens with their own devices to both enjoy inflight entertainment and use a second screen to stay connected with friends and family via email and social. Passenger Comfort – Over the past year, with the introduction of more and more double beds and family suites – flying really does feel like a hotel stay. However, seat manufacturers are also improving passenger comfort in Economy by enabling the enhancement of all cabins onboard to retain customer loyalty in an ever increasingly competitive market. A daily program of education sessions were hosted at the FlightGlobal CabinSpace LIVE Seminar Theater, with participants from across the industry discussing issues including accessible IFE, end-of-life equipment and the burden on the environment, and management of data and the increasing demand for connectivity. “Every year we see more and more demand from passengers for seamless connectivity and greater expectations placed on all the players that make up the travel experience. As a result, we have seen some truly ground-breaking innovations at AIX this week. Aircraft Interiors Expo will return to the Hamburg Messe from 2nd – 4th April 2019 where it will be co-located with World Travel Catering and Onboard Services Expo (WTCE) and Passenger Technology Solutions (PTS). Along with the Passenger Experience Conference the three expos make up Passenger Experience Week. As anticipated, the Passenger Experience Conference (PEC) on April 9, and the Aircraft Interiors Expo (AIX) on April 10 thru 12 were the IFEC big deals last week. Each year we attempt to give readers a bit of an oversight about this week dedicated to the aircraft cabin and all things IFEC. This year was not different and for this week and next week, IFExpress will cover the show summary put out by the folks who organize this incredible extravaganza in Hamburg Germany each year. In today’s issue, we cover PEC (April 9) and Day 1 of AIX (April 10) – next week we will send out the summary of Day 2 and 3 of the Expo. Here we go! Monday April 9, 2018 – Passenger Experience Conference (PEC), the industry-leading global conference and networking forum, returned to the Hamburg Messe, marking the start of the world-renowned Passenger Experience Week (PEW). Exhibition Director, Polly Magraw kicked-off the day with a welcome to delegates attending the Conference, which defines the passenger experience. Following this, Richard Chung, Vice President Innovation & Design at Adient took to the stage to discuss the exponential changes that are emerging and converging to create new opportunities for the aviation industry (see image above). One such change, is the future introduction of commercial space flight at Virgin Galactic’s facility in New Mexico. Adam Wells, Head of Design, talked delegates through every stage of the process of the journey of a spacecraft, including a video of a recent test flight where the spaceship reached 82,000 feet. Closing the plenary sessions, Paul Priestman, Director and Chairman of Priestman Goode, discussed how convergence of existing technologies, including magnetic levitation, can facilitate new forms of transport such as the Hyperloop. For the rest of the Conference, PEC delegates could choose sessions from three streams: Convergence and Mobility, Personalizing the Journey and Flexible and Sustainable Thinking. From seamless urban mobility to the on-demand economy, this stream explored how cross-pollination between transport modes can enrich the passenger experience and create business opportunities. Arguing that millennials prioritize access over ownership, Jönna Pöllanen of MaaS Global introduced their new multi-modal transport planning and booking platform, ‘Whim’. Sustainable materials were the focus of conversation between José Rui Marcelino of Almadesign, Joel Fragata of TAP Air Portugal and Luciana Ribeiro Monteiro of Embraer, while the Head of Partnerships & Advertising and Head of Product & Customer Experience at Joon told attendees about their new products and services being tested by Air France-KLM. This stream explored how connectivity and data-driven technologies can improve the passenger experience and enable deeper relationships between an airline and its service partners. Nathaniel Giraitis of design company SmartDesign told attendees about Kite, a newly-conceived digital travel companion that could provide nervous flyers with personalized coping techniques. Representatives from gategroup and Black Swan Data shared their insights on how artificial intelligence and data collection can revolutionize inflight food, while seamlessness and the harmonization of software and content were the focal points of discussions between speakers from Panasonic Avionics, Cathay Pacific, Gogo, Valour Consultancy and Spafax. Examining how flexibility can be designed into products to afford more options for airlines and rail operators, this stream asks the question about the role sustainability plays in this equation. Christina Fagin, Industrial Designer and Circular Economy Expert at Grüner Hering, emphasized the importance of ensuring that products have a full life-cycle and that environmental disposal is considered in the design phase in her key-note speech. Later speakers from Boeing, Recaro, Zodiac Aerospace were among those who discussed the ways in which modularity and open platforms can support a more flexible approach to cabin design and services. Tuesday, April 10 2018 – Aircraft Interiors Expo (AIX), the world’s largest event dedicated to innovation in the in-flight passenger experience, kicked-off as world leaders in cabin interiors, in-flight entertainment and passenger comfort gathered in Hamburg to showcase their latest products and developments. Immfly announced a new partnership with Pegasus Air, to bring a dynamic in-flight digital services platform to the Turkish Market. Global Eagle Entertainment has launched the Airconnect Go video-on-demand system portable IFE system for regional aircraft, which streams content to passengers’ own devices through Global Eagle’s Airtime portal. Geven’s Essenza economy-class seat has been ordered by Wizz Air for the Airbus A321neos it will begin receiving in January 2019. Delegates to AIX were also able to enjoy the first day of a series of educational sessions in the Flight Global Cabin Space Live Seminar Theater. Consolidation and the interiors supply chain: Panelists discussed how consolidation among the cabin supply chain could provide an opportunity for agile new suppliers to enter the market, as well as the demand on suppliers to boost production while reorganizing supply chains. The future of IFE: The panel of airlines and technology providers discussed the need for airlines to have the flexibility to provide choice to the passenger, with platforms that adapt to meet the fast pace of technology development. The need for robust and stable connections for streaming in the air to meet passenger demand is critical, with embedded IFE, wireless IFE and connectivity all being part of the future mix. Flight Ascend Market Outlook Briefing: This briefing assessed where the industry is in the demand cycle. It examined whether Airbus and Boeing are on track to hit their ambitious production-rate targets and what the prospects are for new market entrants such as the C-Series, C919 and MC-21, and new product studies such as the Boeing NMA. AIX’s Exhibition Director, Polly Magraw, comments: “AIX 2018 has launched with a busy and exciting day. It has been inspiring to see all the amazing innovations our exhibitors are showcasing and how they are bringing to life some of the key themes around the passenger experience we heard about in Monday’s Passenger Experience Conference. Aircraft Interiors Expo is co-located with World Travel Catering and Onboard Services Expo (WTCE) and, new for 2018, Passenger Technology Solutions (PTS). Along with the Passenger Experience Conference the three expos make up Passenger Experience Week. Well, AIX 2018 is finally upon us and the next 4 days promise to be an innovative rich and technology filled environment. Lets get started with a few pre-show news highlights. Astronics Corporation announced that its wholly owned subsidiary, Astronics Advanced Electronic Systems (AES), has been selected by multiple Asia-Pacific airlines to install the EmPower in-seat power and flight deck power systems. Several major airlines in Asia will install the EmPower systems from 2018 to 2025, including two Chinese low-cost carriers. These recent awards will place in-seat power within 500 additional narrow-body aircraft serving the Asia-Pacific region. The installations are scheduled on both Boeing and Airbus aircraft. The cost to certify seats with differing advanced actuation and data sensing can be in the tens of millions of dollars in many sectors of transportation. The UPSi is a solution for autonomous transportation that transcends industries and provides a universal, standard seat interface applicable to aircraft, vehicles and trains. This Visionary Concept finalist aims to slash development costs and create synergies across the autonomous transportation industry. Silhouette MOVE: A revolutionary cabin divider for all aircraft platforms, this Cabin Systems category finalist takes advantage of unused space between the divider and the seat in front of it. Bulkhead seated passengers get an additional one cubic foot of space, giving them more space to stretch their legs and place carry-on items. Secant Luminous Panel: A finalist in the Materials & Components category, this micro LED lighting display is incorporated into the interior body and ceiling panels of the aircraft using flexible printed circuit boards. This solution enables airlines to adjust the lighting to improve sleep and the cabin’s appearance, and it provides the opportunity for airlines to uniquely brand their aircraft. Valkyrie Bed:This is a new solution to an old problem—how to make a seat into a comfortable place to sleep. A Passenger Comfort Hardware finalist, business-class passengers get a more luxurious experience with a comfortable seat to work, eat and lounge. And when it is time to sleep, the seat folds away and a full-size mattress emerges from the console. The airline is providing an immersive cinematic experience in its lounges in Dubai International Airport by providing Skylights theater headsets (See above) to customers. The headsets are being trialed in the Business Class lounge in Concourse B for the month of April and in the First Class lounge in concourse B in May. The introduction of these innovative new headsets is part of Emirates’ continued commitment to improve the customer experience both on the ground and in flight. Offering a fixed-screen with a wide-angle field of view for 3D and 2D content, each Skylight theater headset weighs only 120g and offers a Full HD viewing experience. Its in-built sound and video allow customers to fully immerse themselves in what they are watching. The service is complimentary and Emirates plans to roll out the experience across all its lounges in Dubai if the trial is well received. Dubai International Airport is home to seven Emirates lounges spread over three concourses – A, B and C. In each of the concourses there is a dedicated Emirates First Class and Business Class lounge. Entry is complimentary for those traveling in Business or First Class as well as Emirates Skywards Silver, Gold and Platinum members. Emirates Skywards Blue members can visit the lounge for a fee. Emirates has the largest network of airport lounges worldwide. In addition to the seven in Dubai, there are 34 other dedicated Emirates Lounges in major airports across the globe. Etihad Airways has started trialing SkyLights Aero Virtual Reality (VR) entertainment technology at its flagship First Class Lounge and Spa and Business Class Premium Lounge, at Abu Dhabi International Airport’s Terminal 3. The aim of the month-long trial is to gather customer feedback to determine the airline’s future lounge entertainment offering at Abu Dhabi’s state-of-the-art Midfield Terminal. The SkyLights ALLOSKY VR headsets deliver an immersive, HD resolution, cinematic experience in 2D and 3D, featuring intuitive technology for ease of use and noise cancelling headphones. Each set has a battery life of over six hours which allows for uninterrupted enjoyment from a catalogue of recent blockbuster movies, selected 360° short films, TV series, documentaries and children’s programming. Throughout the trial, Etihad staff will assist interested guests at dedicated areas within both lounges. Each session will end with a short manual questionnaire. With the rapid growth of w-IFE solutions, the IFE/C industry has rapidly moved to the digital era. Now, even the seatback screens provide personal-device-like experience and beyond the legacy video & audio sections, all the other IFE sections can be significantly revamped to deliver a full digital experience, including engagement, personalization, and many other exciting features. Meals Menus, Corporate Content & Destination Section – These are the three pillars – the initial use cases of PXCom’s end-to-end solution. “All the digital sections that we create intend to elevate the onboard experience by providing passengers with compelling content and to generate additional revenues for our airlines customers”, says Cyril JEAN, PXCom’s CEO. “For example, the interactive meals menu section can display the right content according to the seat class and route and encompass buy-on-board snacking options, as well as the ‘click and deliver’ features. As an example, an airline that intends to treat its premium passengers with a hand-picked wines & champagnes selection can offer to have their guests’ selection delivered directly to their home.” Since PXCom is a French company filled with wine and foodie lovers, they have absolutely no choice but to provide only THE VERY BEST of food and beverage highlights! LATECOERE, the world leading provider of Airborne Entertainment Cameras has selected PXCom to enrich its live external camera which streams high quality video from the aircraft exterior to passengers’ seatback screens using landscape camera technology. This move ensures a truly innovative way to boost the live camera experience! Live contextual movement information in-flight – Thanks to PXCom’s technology, passengers can now enjoy a multitude of points of interest related to places they pass by in the air. In real time, a short description that includes HD pictures and text is added to the live video stream that comes from LATECOERE’s landscape cameras. The new generation cameras provide 360° video streaming which is enhanced with software applications such as augmented reality prove to be really exciting for airline passengers. Ancillary generator – It goes without saying – as it’s the case with all PXCom’s solutions – airlines will be able to integrate advertising spaces which will be automatically filled with partners’ brands advertising material. Airlines’ media sales agencies can access PXCom’s back office to upload their campaigns and have them rolled out during the flight. LATECOERE’s vision is to maximize the added value provided to all Airborne Video Systems users and to boost ancillary revenue generation for its airline clients. The rational is to bring further investment into passengers’ inflight experience. Live demonstration at the LATECOERE’s stand – This exciting new inflight entertainment feature can be tested by all interested parties during AIX Hamburg 2018 at the LATECOERE’s stand #2E30. For further information on PXCom’s range of IFE solutions, we invite you to visit #3C30A during AIX Hamburg 2018. 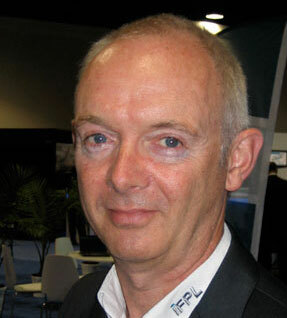 We asked Geoff Underwood, CEO at IFPL to tell us a little bit about what they will be showing at AIX and he told IFExpress: “As your IFExpress readers know, IFPL leads the way when it comes to designing power outlets. With new consumer devices adopting USB-C as standard, IFPL will demonstrate how airlines can easily transition from USB Type-A to USB Type-C. As always, IFPL’s established range of audio and IFEC solutions will be on display and the expert team from IFPL will be on hand to discuss any requirements that your readers or visitors to AIX 2018 may have”. Thanks Geoff! On Friday Boeing posted on their website that American Airlines has ordered 47 Boeing 787 Dreamliners with options to purchase 28 more of the long-haul jets. However, over the weekend Boeing has removed the news from their site. Check out this article for the full story. AIX, Hamburg | April 2018– At the world’s leading trade show for aircraft cabins and passenger experience, the Aircraft Interiors Expo (10 – 12 April, Hamburg Messe, organised by Reed Exhibitions), global industry-leaders and regionally rooted suppliers alike will present new concepts and products — and it may not be long before passengers are encountering these concepts and products on board. The order books, especially for short and medium-haul airliners, are full, so there is sure to be a large contingent of airline customers at this key Hamburg trade fair. New models like the Airbus A321 LR, making new long-haul routes accessible for single-aisle aircraft, add to the current dynamics of the segment. Whether the flight is short or long, more and more passengers expect to be able to stay online while airborne. The increased demand here is reflected by the floor plan, where the space allocated to in-flight entertainment and connectivity has grown yet strongly again. In fact, the whole aircraft interiors segment is booming. This year, according to the show organisers Reed Exhibitions, the Aircraft Interiors Expo has expanded to a new record in size, with the number of exhibitors having grown significantly once again as well. The spectrum of products on show ranges from seating rails to fully equipped First Class cabins. Once again, the Aircraft Interiors Expo is the main component in the “Passenger Experience Week”, starting with the Passenger Experience Conference on Monday, 9 April. The main expo is then flanked by the World Travel & Catering Expo (WTCE — leading trade show for in-flight catering) and, for the first time, Passenger Technology Solutions (trade show focusing on aviation-related IT services). All these events are taking place at at the Hamburg Messe convention site, and are organised by Reed Exhibitions. The growing international importance of the show is also increasingly seen in the programme around the show itself: the airline Emirates is flying a Boeing 777 equipped with its new First Class cabin to Hamburg on Wednesday, 11 April in order to present the on-board product to selected partners in person. Also traditionally presented as part of the Aircraft Interiors Expo are the Crystal Cabin Awards. This industry prize, initiated by the Hamburg Aviation cluster and closely followed by the industry and media around the world, will be presented on the evening of 10 April in the Hotel Atlantic Kempinski. In eight categories, the award honours the leading innovations of the year for aircraft operators and passengers. Amongst this year’s finalists are famous major players like Airbus as well as airline products from Qatar Airways and Singapore Airlines. Information on the finalists is available at the Expo at a special exhibition in the Crystal Cabin Award Gallery (Hall B3 Upper). And at 11am on Thurs., 12 April, all the winners will present their innovations in person one more time — after which they are available for questions and interviews. The scale of the Hamburg Metropolitan Region’s presence at the “local” trade show is appropriate for the most important location worldwide in the field of aircraft cabins. Aircraft manufacturer Airbus, for example, has concentrated its global development activities for aircraft cabins in Hamburg, and the company has a strong presence in Hall B5. With four finalists, Airbus is also looking at a very successful Crystal Cabin Award season this year – e.g. with the new “Airspace” cabin for the A320 range of aircraft. For Lufthansa Technik, located in Hall B6, the show is an important event, too — and not only because of the activities in the exclusive VIP segment. The Hamburg company now supports every fifth commercial aircraft worldwide, and it is particularly expanding its activities in the so-called “retrofit” market. Every five or six years, an aircraft cabin has to be completely refurbished. With innovative business models such as aircraft seat leasing, the company is responding to a growing market. Another heavyweight in the aircraft cabin segment is the family-run Diehl company. The third-largest industrial employer in Hamburg’s aviation industry produces galleys and toilets as well as complex cabin trims with baggage lockers. Diehl, too, is focusing on the high-demand “single-aisle” segment with its presence in Hall B7, and the company has a walk-through cabin model that shows just how much potential remains untapped in a single-aisle airliner. Alongside the major international companies, SMEs have also always been well-represented at the Aircraft Interiors Expo. Dozens of small and medium-sized enterprises are active in the segment in the Hamburg region alone. They are particularly concentrated on the Hanse Pavilion, operated by the Hanse-Aerospace association in Hall B6, with more than 2,000 square metres of space and almost 100 exhibitors. As well as conventional suppliers, the site is also home to test laboratories and engineering service providers such as Altran. The French-headquartered company has massively expanded its Hamburg operations in recent years, turning the city into its global head office for aircraft cabin activities. 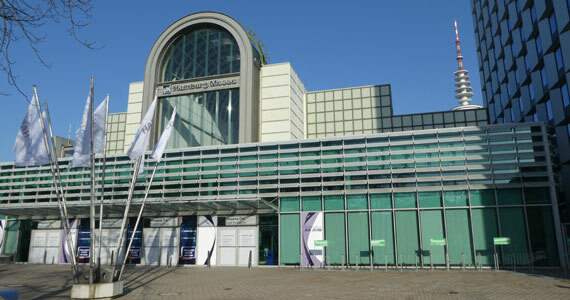 The Hanse Pavilion is also home to the Hamburg Aviation stand (6B90), a central point of contact for the Hamburg Metropolitan Region. The aviation cluster is providing updates on Hamburg-related news from and during the trade show via Twitter, WhatsApp and the live ticker on the Hamburg Aviation Website. Media Briefing & stand tour: Tuesday April 10th from 09h25 to 10h30. This year Airbus is proud to have been shortlisted four times in the prestigious Crystal Cabin Awards for the following achievements: The A320 Family Airspace Interior; a new “Printed Electrics” / “Info-Panel” (in cooperation with Altran); Gigabit Wireless Networking in Aircraft Cabins via “Light-Fidelity” (LiFi) – with the University of Edinburgh; and the “Day and Night” new cabin premium class product (offered by our subsidiary AIS). The Crystal Cabin Awards ceremony is held on the evening of Tuesday 10th where the winners will be revealed. Augsburg, Germany | April 4, 2018–Kontron, a leading global provider of IoT/Embedded Computing Technology (ECT), announces new boards, modules and embedded systems featuring the 8th Gen Intel Core/Xeon processors (former codename Coffee Lake). Through the update to the COM Express Computer-on-Modules (COMs), embedded motherboards, CompactPCI platforms, Kontron KBox family of box PCs, as well as the company’s rackmount systems, customers benefit from a marked increase in graphics- and processing performance. First products featuring the new processor generation will be available on the COM Express basic form factor starting June 2018. With the new boards and modules, customers will benefit from the enhanced functionality and significant performance increase of the latest 8th Gen Intel Core(TM) / Xeon processors at the same power consumption as the previous generation. Available with dual-, quad-, or hexacore CPUs, they double the DDR4 storage as before, with up to 64 GB. They support the fast Intel Optane memory, as well as the fastest available storage technology NVMe SSD for system acceleration in a very compact design. USB 3.1. support with up to 10 Gbps and USB Type C support offer twice the bandwidth as compared to USB 3.0 for fast data transfer. Four 4K displays can be controlled, three of them separately. UHD streaming supports high quality video applications. With these innovations, the new platforms are an ideal basis for applications in communication, digital signage, professional gaming and entertainment, medical imaging, surveillance, and security. They are also well suited for the control of industrial systems, machines and robots on the shop floor level as well as from the control room. The new platforms are more secure through SGX 1.0 hardware-enhanced multifactor authentication. In addition, all Kontron products support the TPM 2.0 security chip as well as the Kontron APPROTECT Security Solution. Based on an integrated Wibu-Systems security chip and in tandem with a specifically developed software framework, it provides IP and copy/reverse engineering protection. Kontron APPROTECT Licensing also enables new business models such as “pay per use”, demo versions for limited time periods, or activation/deactivation functions. Cedar Rapids, Iowa | April 4, 2018– Rockwell Collins will be showcasing its suite of aircraft cabin and connectivity solutions at this year’s Aircraft Interiors Expo (AIX) in Hamburg, Germany, April 10-12. The company will have two separate exhibits, booth 4C30 focusing on connectivity in the cabin and booth 5B30 featuring Cabin Interiors. This marks the first AIX that Rockwell Collins will feature both cabin connectivity and interior systems products since the company acquired B/E Aerospace in April 2017. 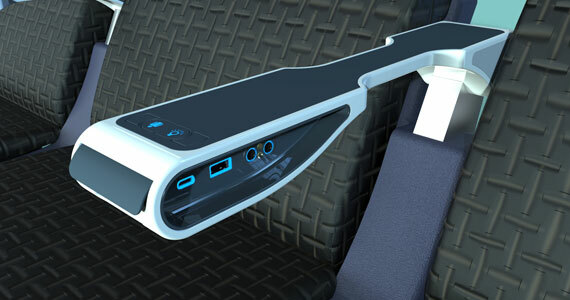 CabinConnect, a wireless in-flight connectivity and entertainment solution enabling high-speed aviation broadband access for passengers and cabin crew. Passengers can stream video and other content to their personal devices, surf the internet, send and receive email, use social networking and universal messaging on their smartphones, tablets, laptops or gaming devices. Airlines can deliver more personalized services, create new opportunities for revenue generation and increase operational efficiencies. Aircraft Dashboard, a web-based suite for real-time monitoring for an at-a-glance overview of all your Rockwell Collins connectivity services. Provides cabin crew and Aircraft Operations Center monitoring of aircraft connectivity status and ACARS communications. Flight data display flight tracking, powered by ARINC MultiLink, provides real time situational awareness of aircraft in-flight positioning and can allow notifications when making flight plan deviations. Meridian economy class seating product, the top-selling single aisle platform, high comfort in a slim-line seat, scalable and configurable to an airline’s requirements. MiQ business class seating product, an award-winning seat for narrow-body aircraft and wide-body premium economy cabins. Qsuite premium class seating product, a one-of-a-kind individual pod seat with a closing door and double bed transformation. It’s equipped with a large in-flight entertainment screen, storage and table space. Air Rest new electric business class seating product, this unique seat brings the comfort and technology of Rockwell Collins’ widebody business class to narrowbody premium seating. Silhouette Move, the revolutionary and patented class divider that elegantly increases cabin footprint for additional passenger space or additional seat placements. Essence Microwave Oven, will be delivered and in service on both Boeing and Airbus platforms in 2018. Paris, France | April 4, 2018–The start-up SKYdeals will attend the Aircraft Interiors Expo in Hamburg from 10th – 12th April 2018 on booth #3C30. SKYdeals will showcase the first solution of inflight “Shoppertainment” in the world. On this occasion, the two founders, also members of the APEX* association, will have the opportunity to showcase to main airlines representatives, their concept and its advantages as a new source of additional revenues and as an innovative passenger experience. Every day, 8 million people around the world travel by plane and thanks to Inflight broadband, it’s now possible to reach these passengers in real time, and to interact with them. SKYdeals is the first platform dedicated to this population, a marketplace where brands and service providers can offer, directly to passengers, highly targeted event-driven sales and private sales. Quickly access to an innovative, entertaining and connected digital service for passengers: Thanks to its “Plug & Play” catalogs, SKYdeals can be implemented in only two weeks and without any major investment from airlines. A new source of revenues from inflight connectivity based on a revenue sharing model. SKYdeals will present during the event some revenues simulations, which clearly show all the potential of inflight e-commerce. With the development of onboard Wi-Fi, SKYdeals relies on a fast-growing market. Indeed, the market of inflight broadband will reach $130 billion, resulting in $30 billion of additional revenue for airlines by 2035, compared to $1 billion in 2018**. Half of these revenues will be dedicated to e-commerce, advertising and premium content. Martillac France | March 26, 2018– With the rapid growth of w-IFE solutions, the IFE/C industry has rapidly moved to the digital era. Now, even the seatback screens provide personal-device-like experience and beyond the legacy video & audio sections, all the other IFE sections can be significantly revamped to deliver a full digital experience, including engagement, personalization, and many other exciting features. These are the three pillars – the initial use cases of PXCom’s end-to-end solution. Since PXCom is a French company filled with wine and foodie lovers, they have absolutely no choice but to provide only THE VERY BEST of food and beverage highlights! PXCom’s technical wizards have extended XPlore by PXCom’s capabilities to enable brands and their media agencies to create their inflight microsites in full autonomy. As a result, they can deliver a customized digital inflight experience regardless of the type of IFE/C platform available onboard. Thanks to PXCom’s partnerships with most of IFE manufacturers (both seatback, w- IFE and IFC) those microsites are automatically uploaded during the airline’s media content update slot and are seamlessly integrated into the GUI. “We have been setting up XPlore’s sponsored inflight microsites on behalf of various customers now. The creation of the microsite is self-explanatory and very easy, thanks to the PXCom solution.”, states Christian SZABO, CEO of LASKER a major Cross Media Agency in Europe. “The integration of the microsite within the destination guide section offers advertisers the possibility for destination targeting in the IFE. By adding transaction-related elements, like downloadable voucher codes, advertisers are able to generate leads directly from the aircraft. Also, the reporting backend is swift and easy and provides all relevant KPIs that the advertising industry asks for”. PXCom’s technology use case is absolutely limitless. Our latest activity is an airline wishing to promote its Freight/Cargo operations! The process is truly simple as some section templates have been specifically designed. By relying on them, the airline creates its microsite in a couple of clicks and the Cargo section is ready to be integrated on the IFE in the next content update slot. Raunheim/Hamburg | March 28, 2018– The Lufthansa Group is in an excellent position to be successful in in-flight entertainment (IFE) and aircraft digitalization: Lufthansa Systems, Lufthansa Technik and Retail inMotion are collaborating closely to drive the digital transformation above the clouds and enable passengers to have a modern and positive travel experience. The companies present their solutions for in-flight entertainment, connectivity, shopping and other digital on-board offerings at this year’s Aircraft Interiors Expo (AIX) in Hamburg from April 10 to 12. According to the motto “One World of IFEC services”, Lufthansa Systems and Lufthansa Technik will be at booth #4B11and booth #6B80. Lufthansa Systems and Lufthansa Technik have been engaged in a close partnership since 2015 to offer airlines inside and outside of the Lufthansa GroupBoardConnect, a modern, multi-functional on-board IT platform with broadband Internet access. Thanks to its state-of-the-art docker technology, BoardConnect can also serve as the basis for an Internet portal. One highlight at this year’s trade fair will be the new Power-&-Safe solution forBoardConnect Portable. 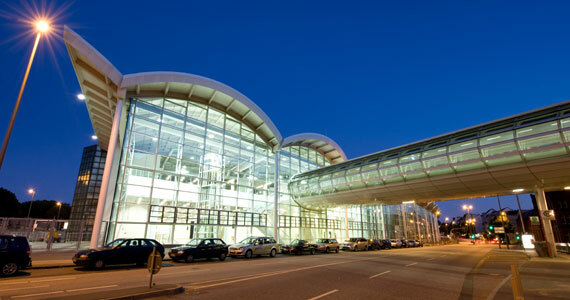 This solution was developed by Lufthansa Technik in close cooperation with Lufthansa Systems. 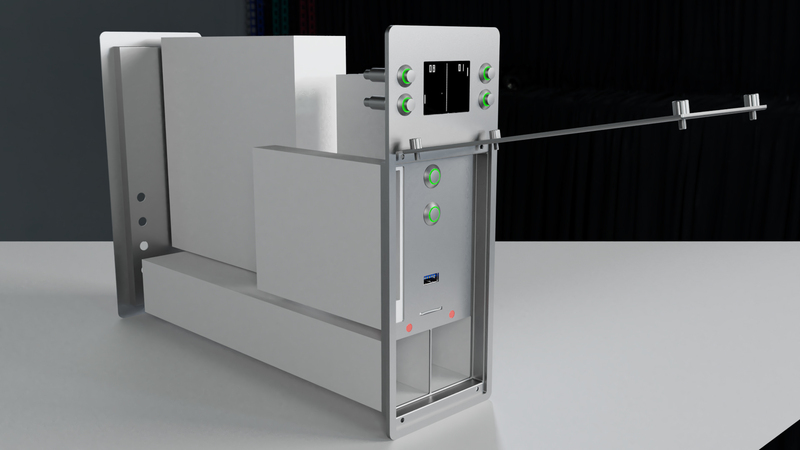 In Hamburg, both companies show for the first time using a life-size model how the BoardConnect Portable Mobile Streaming Unit (MSU) can be stowed in a safe inside the overhead storage compartment. Placing an additional power supply has eliminated the need for battery replacement. The solution is currently being installed at Air Europa. BoardConnect enables passengers to use streaming technology during a flight to access an airline’s entertainment program on their own devices. The product suite includes three hardware versions: In addition to the permanently installed classic BoardConnect solution, there is the flexible BoardConnect Portableversion and the BoardConnect Plus connectivity solution. The BoardConnect 5.0 open aircraft IT platform runs on all three versions. Thanks to its modern docker technology, the software enables digital services from partners to be integrated easily and quickly. A demo at the booth shows how easy and fast new applications can be integrated using Docker technology. Lufthansa Systems is also providing content such as movies, TV series, music and magazines with itsBoardConnect Media Services. All products work in perfect harmony with each other and can be acquired separately or in combination. Hamburg, Germany | March 21, 2018– Aircraft Interiors Expo (AIX), the global event that showcases the leading innovations in the passenger experience, is creating a platform for further innovation at this year’s show with the launch of an Ideation Hub. The Hub, will allow attendees from across the supply chain to synthesise future innovative ideas and collaborate on key issues relating to passenger experience. This is just one of the new features at this year’s show, which returns to the Hamburg Messe from 10th – 12th April 2018. The sessions will take inspiration from ‘related worlds’, along with trends and technology from other industries, to generate ideas that will seek to provide the customers of tomorrow with a more seamless passenger experience. Polly Magraw, Exhibition Director of the Aircraft Interiors Expo, says: “The Aircraft Interiors Expo has become known as the global showcase for innovation in the passenger experience. The Ideation Hub we are introducing this year will take this to the next dimension as we work with attendees including engineers, designers and innovators to foster collaboration within the industry at AIX. AIX 2018 will this year welcome 50 new exhibiting companies including Ametek MRO, 3D Systems, General Aerospace GmbH, Konrad Hornschuch AG, STS Component Solutions, Tekspan and Vanema. They will join longstanding exhibiting companies such as Acro, Gogo, Haeco, Inmarsat, Molon Labe, Panasonic Avionics and Thales. Other enhancements for AIX 2018 include an expanded FlightGlobal CabinSpace LIVE programme, where attendees will have the opportunity to hear industry leaders discussing the latest trends and insights on major industry topics on 10th and 11th April 2018. These include ‘consolidation and the interiors supply chain’, ‘the future of inflight entertainment’, and‘predictive maintenance and the connected aircraft’, with speakers from leading companies including Lufthansa Technik, Delta Airlines, Hong Kong Airlines and Bluebox Aviation, along with a market outlook briefing from FlightGlobal’s Ascend consultancy. On 12th April at 11am, attendees will be able to see for themselves the innovations showcased at this year’s Crystal Cabin Awards in the CabinSpace Live Seminar Theatre, Hall B3 Upper, as the eight winners will present their winning concepts. Both events will take place in the CabinSpace LIVE Seminar Theatre in Hall B3 Upper. The show-starter for AIX is the Passenger Experience Conference on 9th April, which brings together senior strategists from airlines, rail companies and from across the industry supply chain to holistically explore the latest passenger experience thinking with their peers. Visitors to the event will hear from leading speakers including Adam Wells, Head of Design at Virgin Galactic, Paul Priestman, Director & Chairman of PriestmanGoode, Célia Geslin, Head of Product & Customer Experience at Joon, David Lavorel, Chief Executive Officer of SITAONAIR, David Bartlett, Chief Technology Officer at Panasonic Avionics, Steve King, Chief Executive Officer of Black Swan Data, and Scott Savian, Executive Vice President ZEO at Zodiac Aerospace. In addition to keynotes on the topics of ‘New frontiers for transport and passenger experience’, ‘Disruptive possibilities and their impact on the airline industry’, ‘Creating the world’s first spaceline’, and ‘Future Horizons’, the PEC will feature focused breakout sessions exploring ’Convergence and Mobility’,’ Flexible & Sustainable Thinking  and ’Personalising the passenger journey’. AIX is co-located alongside the World Travel Catering and Onboard Services Expo (WTCE) and Passenger Technology Solutions (PTS), a new event for 2018 showcasing and exploring the latest technology trends that are transforming the passenger journey. Together the three events, along with the Passenger Experience Conference (PEC) on 9th April, form Passenger Experience Week. Each year, Passenger Experience Week attracts more than 18,000 attendees from across the world, along with over 2,000+ VIP airline attendees from 260 unique airlines and lessors. Isle of Wight | March 27, 2018– IFPL will be demonstrating their latest audio products at AIX Hamburg in addition to their broad range of products that are now flying on the majority of aircraft around the world. IFPL’s original Long Life Audio product line delivers a highly robust and reliable audio jack designed to minimise CID. The design, high quality materials used, testing to over 100,000 insertions ensure that these jacks are robust. IFPL use this Long Life technology for single, double and triple jacks. Additionally, IFPL’s design ensures that some dual and triple pin socket can also work as single pins, ensuring additional redundancy in the dual and triple pin solutions. Rapid Fit technology delivers a solution for rapid on-wing maintenance. Rapid Fit has been designed with a replaceable cassette that house the jacks, whilst keeping the high-cost electronics in the main housing. This enables the lower cost part of the cassette to be simply swapped out on-wing in typically less than 30 seconds. Integrated Noise Cancelling Audio Module (INCAM) technology allows noise cancelling in the jack rather than the headset, allowing all passengers to enjoy noise cancelling technology with a simple addition of a low-cost microphone in the headset. This keeps the headset cost low whilst providing a significantly enhanced audio experience for the passenger. IFPL’s patented MagSignal technology virtually eliminates CID. The headset can be pulled from any angle and simply detaches from the magnetic plug without damaging the jack or the headset. This extends the life of the headset and the jack and avoids CID. The floating magnets ensure a signal is maintained at all times during turbulence and vibration. This technology has been tested to over 250,000 attachments and detachments. Push Through Pin ensures the jack does not have to be replaced if a pin gets broken in the jack. The pin can simply be pushed through and collected in a reservoir at the back of the jack. This reservoir has been known to hold as many as 12 broken pins. IFPL’s established range of audio products and solutions will be on display and the team from IFPL will be on hand to discuss any requirement that visitors to AIX 2018 may have. Visit IFPL at Booth 4B20.